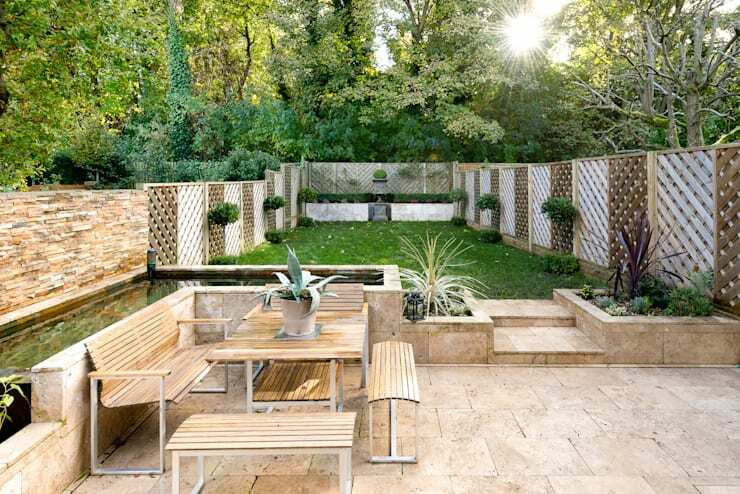 It's often the case that creating privacy in your garden is easier said than done – when you've still got that nagging feeling telling you that the neighbors are peeking into your private space, it's hard to fully relax. Whether you're looking for a permanent backyard solution or a quick fix, here are eight ideas for creating more intimacy and shelter in your backyard – no matter how many neighbors you might have! Placing wooden fences – or fences made of bamboo – not only provides shelter for your backyard, but it also looks beautiful. The natural appeal of using a wooden material in your fence will have a calming, easy-going effect on your overall space. Instead of feeling like you're fenced in by an artificial boundary, you'll feel more like you're enclosed in nature's warmth. 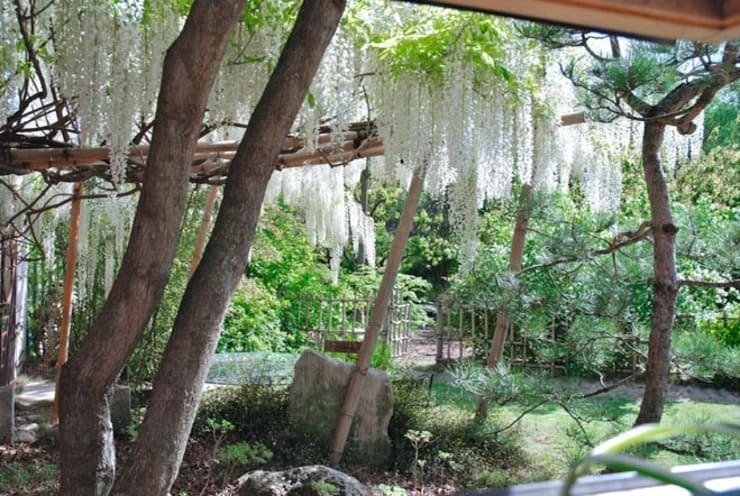 In this garden you can see how, in addition to the wooden fences, these homeowners have also chosen garden furniture made of wood. This pleasant match creates a harmonious backyard look with a cohesive theme. Blinds and shades are perfect for covering a window without losing out on your garden view. It's a simple and affordable solution, with a variety of materials to choose from (ranging from very low to medium price points, depending on the look you're going for). A plastic blind will be your most cost-effective option, while wooden slats will be reflected with a higher price point. As you can see in this example, these blinds also provide privacy for the terrace of this home. 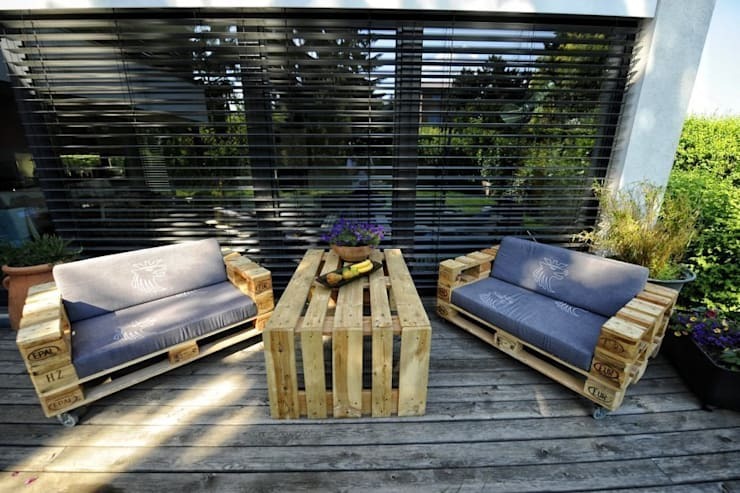 Like the simple wooden look of these pallet porch benches and table? Check out this ideabook chock full of 44 pallet hack for your garden and home! If you're building an addition to your home, consider how its walls may be used to provide additional privacy for your backyard space. A wall of a garage or a shed is useful if it serves to separate your property from another's. You'll have to be creative when it comes to concrete walls, as few people enjoy facing a wall of solid concrete – consider adding latticework or crawling vines in order to greenify a concrete wall. You can also paint the wall in a cheerful color to make the garden look more alive. In this garden you can see that the high wall has been adorned with flower pots and plants that have been chosen specifically for their tendency to grow in a vertical fashion, providing more coverage for the wall and directing your view upwards towards the blue skies. If you're looking for a flexible, quick, or temporary way need to obstruct the neighbors' view, placing pots and planters around your property line is a solid fix. A landscape architect can help you to create a more permanent version of this solution if you find that you enjoy having your plants form a natural boundary between your property and your neighbors. 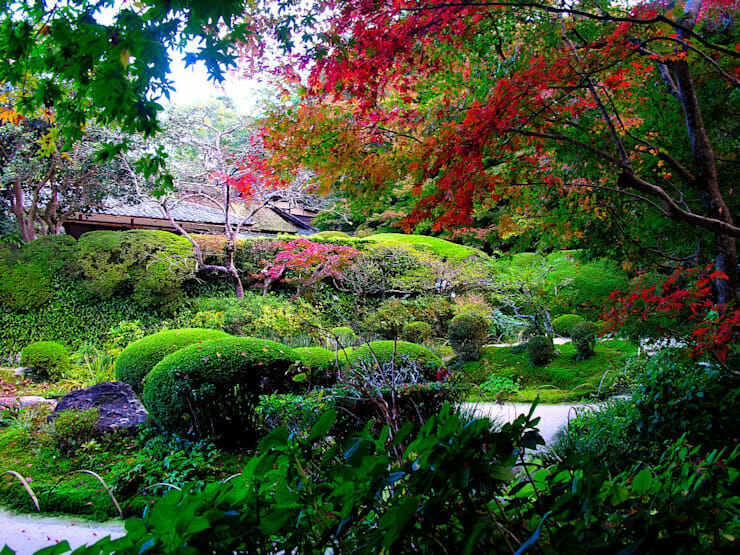 Many gardeners find the natural variation for sheltering a garden to be the finest option – there's something to be said for the way a bush or tree provides dense coverages while being easy on the eyes. If you're searching for quick results, you can choose shrubs and trees that grow quickly; likewise, you can opt for a climbing wall or lattice work with vines that will grow to cover the space in a matter of a month or two. There are plenty of options for vine plants that grow like weeds, but you might want to check with a professional landscaper before planting something that could quickly spread to take over your entire lawn. If you're looking for something that's structured like a solid wall, but still natural, try a hedge wall. As you can see in this example, a dense evergreen bush will provide thick coverage year-round, enclosing your yard in a world all its own. You also have the option to trim your hedges into neat, ordered topiaries should you wish to portray a more classic, English garden look. Some city apartments or homes are more concerned with privacy from above than with privacy from the sides - one solution is a pergola or awning. You don't have to opt for canvas – you can fill your porch with plant life by letting vines wrap around a wooded pergola structure, as shown in the picture. 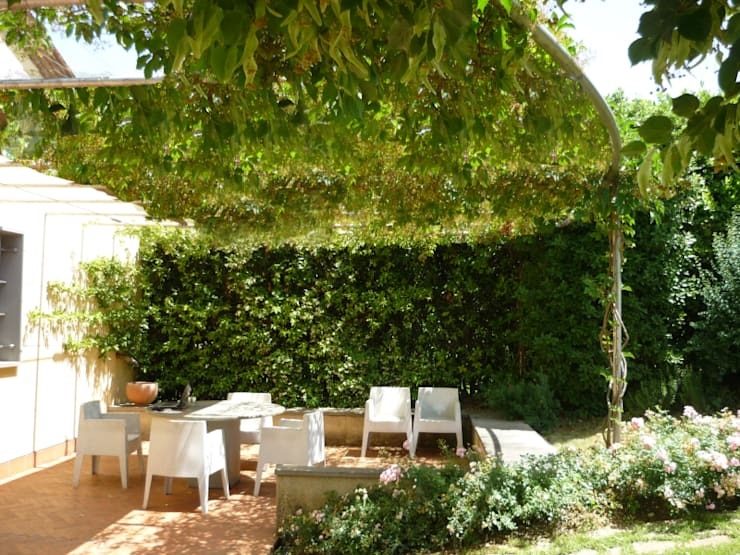 An additional advantage of this sheltering technique is that an awning or pergola will also protect against the wind and rain, allowing you to enjoy the outdoors even in non-ideal weather. Mirrors are most commonly confined to the bedroom or the bathroom, but mirrors can be brought outside as well! 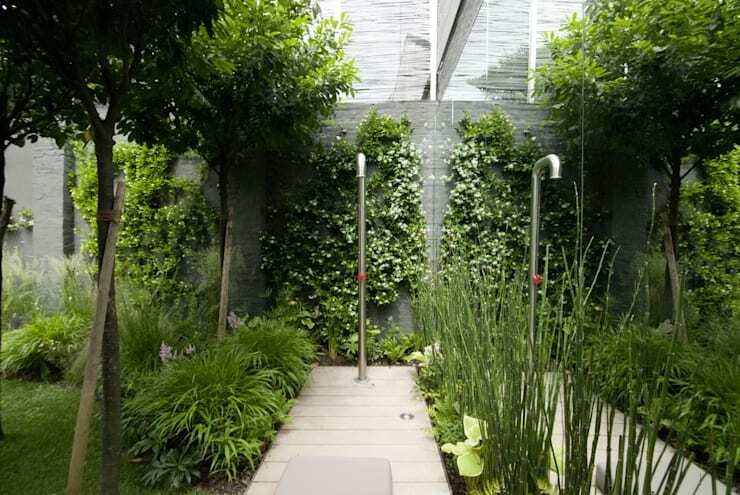 A mirror wall will provide a completely opaque layer of privacy while also reflecting more greenery and light throughout your backyard space. 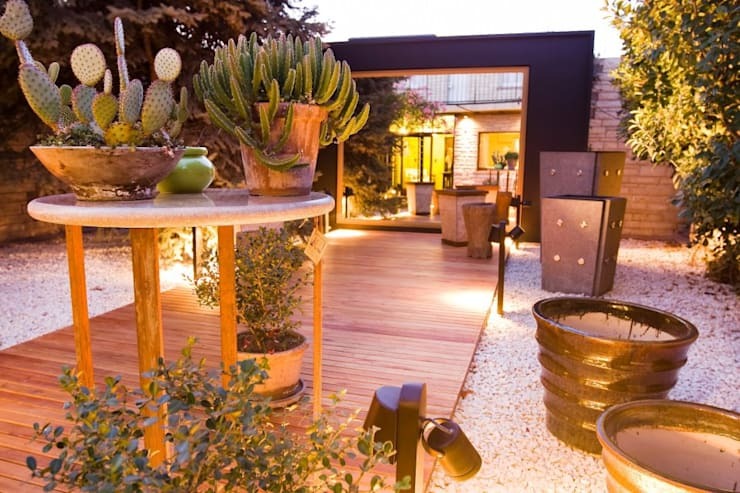 If you're looking at a tiny backyard, a mirror will also serve to visually widen your limited space. Once you've got your backyard's privacy in check, how about a little creativity? 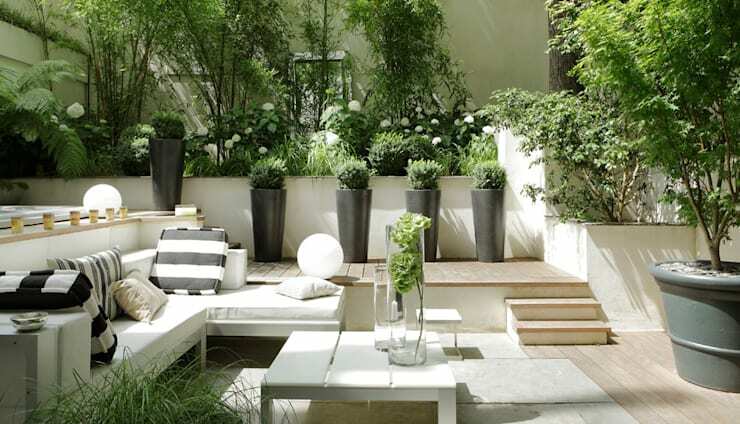 Here's an ideabook with 19 Simply Spectacular Garden Ideas for making your garden come to life! What do you think of these garden tips? Comment below!